PSHS System Executive Director, Dr Josette Biyo, made it her mission to reach the EVC campus as soon as news of the scale of devastation was known. She and her team were one of the earliest responders. The PSHS system is very fortunate to have a courageous and compassionate leader in this time of crisis. Following is the report she emailed to the DOST secretary, PSHS personnel, students and alumni. Mission 1: To reach PSHS Eastern Visayas Campus in Palo, Leyte at all cost. 7:00am- I appealed to PSHS Main Campus during the flag ceremony for financial support to help our faculty, staff, students at PSHS Eastern Visayas. Was able to raise P50,000.00+ in an hour. 10:00am- Purchased boxes of over the counter drugs- paracetamol and anti-diarrhea. 2:00pm- Took a flight,Manila to Cebu with Director Lilia Habacon of PSHS Central Luzon Campus. We arrived Cebu by 3:30pm and were met by three teachers from PSHS Central Visayas Campus, Riza Aguilar, Alco Kenneth Tolentino , and Julius Albina. The five of us planned our "Mission- Palo, Leyte." 4:00pm- We contacted General Caringal of Philippine Marines. He introduced us to us to Commodore Yoma of the Philippine Navy. Our PSHS TEAM- Mission Palo proceeded to the Navy Headquarters in Lapu-Lapu City and held a meeting with the officers of Commodore Yoma. Philippine Navy offered to take us to Tacloban City but their ship was still scheduled to leave on Wednesday. We cannot wait. We discussed possible routes, the pros and cons. Our team decided that the Cebu-Baybay, Leyte- Palo route is the most feasible. The Navy informed us that there is no update on security, re: route we have chosen. As of today, it is still too dangerous to travel to Tacloban City. There is restlessness and disorder. 5:30pm- Our team proceeded to SM City Cebu to buy food items that will fit into our backpacks. We were informed by the Navy that there is looting and were advised not to be visible that we are bringing much food. Besides, we were ready to take the "Habal-habal" and to walk in the event that we cannot get a van, or a bus ride. On the boat, we made contingency plans: Plan A- to rent a van, and as soon as we can get a van, to buy as much supplies in Baybay, Leyte for PSHS-EVC. Plan B: If we cannot get a van, to ride a motorcycle, each one of us, with our backpacks, and also to be ready to walk. 3:am- We reached Baybay, Leyte. It was raining hard. We waited until about 5am and the two teachers from our team went down and looked for a van. We were able to get a van at about 6am. However, 6 other men pleaded to ride our van as they are also en route to Palo, Leyte to look for their families. We agreed. We felt with additional males in the group. However, we did not have enough space to buy more supplies. So, we just bought all the bread we can get from Baybay, Leyte and hid these in the available spaces in the floor of the van for fear that we will be looted, or stopped by hungry people. 6:30am- We left Baybay, Leyte. Along the way, we were shocked by the gravity of the devastation. Trees, houses, schools, buildings, schools, churches- no standing tree nor infrastructure was spared. The distance between Baybay to Palo was about 120 kilometers. We could only smile to think of the "habal-habal" or the motorcyle ride for 120kms that we were ready to take, or the walk that we planned. We were the only group who was able to get a van to bring us to Palo becuase diesel or gasoline was rationed. There were women crying, asking to ride with us, but there was no more space. - a lot more devastation, I can't described all of them, but there was wreckage everywhere... From what I saw, I personally believe that over 50,000 people died from the tragedy. Storm surges have wiped out villages. Villages swallowed by Pacific Ocean. Where will they hide, which place is safe? 10:00am- We reached Palo, Leyte. Site devastating. Crumbled buildings, people waiting for relief goods, etc. But it seems relief goods are only focused in Tacloban City. We have not seen distribution of relief goods in the 120 kms that we have travelled- from Baybay to Palo. - Campus Director Dr. Rey Garnace has been walking everyday, trying to locate our students and their families. - We were not able to get news of our PSHS Central Visaays Campus who lives in Tacloban. It is too dangerous to go to Tacloban, by foot, more so by car. these could not reach Palo. We then asked for boxes of medicines from Gov. Petilla. One box of medicine was brought by military men to EVC. People came to me for medicines. Old people with injuries- a very pitiful sight. I started giving pain relievers and antibiotics, until I realized I am not a medical doctor, and had to force myself to stop. 11:30- Medical doctors form the CARAGA Volunteer team came to PSHS EVC. 12:30- Our team decided to go back to Baybay, Leyte with two security guards from EVC to purchase more goods, as we were already sure of a safe route to take. 3:30pm- We arrived Baybay, and panic-buying set in. We purchased all the basic items, most especially canned goods, and sacks of rice that will fit in the van. We arranged them in such a way that these will not be visible from the outside. 4:30pm- All of us ate our first meal in a carenderia in front of the store where be bought five sacks of rice. Food tasted "super delicious." 5:00pm- Van with two security guards departed for Palo. My instruction was, "Don't risk your lives. If you will be stopped, distribute the goods. Everyone is hungry." 6:00pm. Our team proceeded to the ship in Baybay Pier which was expected to depart for Cebu by 8pm. It was raining heavily. There was storm signal number 1. 8:30pm- I received a call from Dr. Rey Garmace (thanks to the satellite phone from DOST) that our van of goods has arrived PSHS EVC safely! 2:30am- Our ship docked in Cebu pier. Mission 1 accomplished! 9:00am- I called DOST Secretary Montejo and informed him of our accomplishments. Also told him of the safest route to take to reach Palo, and how we did it. This afternoon, I, Director Habacon, and a team from PSHS Central Visayas, together with DOST 7, will start preparing for Mission 2. Financial support is still coming from all PSHS Campuses. The P50,000 collected from PSHS Main Campus and Office of the Executive Director last Monday was used to buy goods for mission 1. The P100,000 sent by PSHS Cagayan Valley Campus, and the P69,000 sent by Main Campus today, will be used for Mission 2, together with the support from DOST Secretary. For Mission 2, the PSHS CvISc INNOVA, DOST van, and another van will bring goods to Palo and nearby areas. Director Gene Andres also called up today to inform that a group on PSHS Alumni doctors are organizing a team to do medical mission in Leyte, with the center at PSHS EVC. 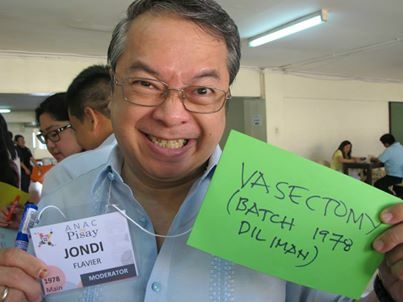 I also called PSHS Alumni President, Dr. Jondi Flavier to send antibiotics and tetanus vaccines. Currently, we are calling parents and medical doctors here in Cebu to donate medicines. We are doing it our way, and it seems, this is more effective. Thank you for your continued support to PSHS. In accordance with SEC guidelines that the officers of the NAA be submitted within one month of the general assembly, the 2014 Board of Directors met last Oct 5 and elected among themselves those who would occupy the various positions. Following are the 2014 incoming board officers. Congratulations! Be the next Science Education Institute (SEI) Director !!! Undersecretary for Science and Technology of the DOST, Fortunato “Boy” T. de la Peña, invites interested PSHS Alumni to apply for the vacant position of DOST-Science Education Institute Director. The SEI handles the undergraduate scholarship programs given out annually by the DOST. A good number of us PSHS Alumni were recipients of such undergraduate scholarships. Visit www.science-scholarships.ph for more information. not later than 06 November 2013. Formulate plans and establish programs and projects for the promotion and development of science and technology education and training in coordination with DepEd, CHED and other institutions of learning. We hope that there will be a good number from our ranks who will apply and take on the challenge !! 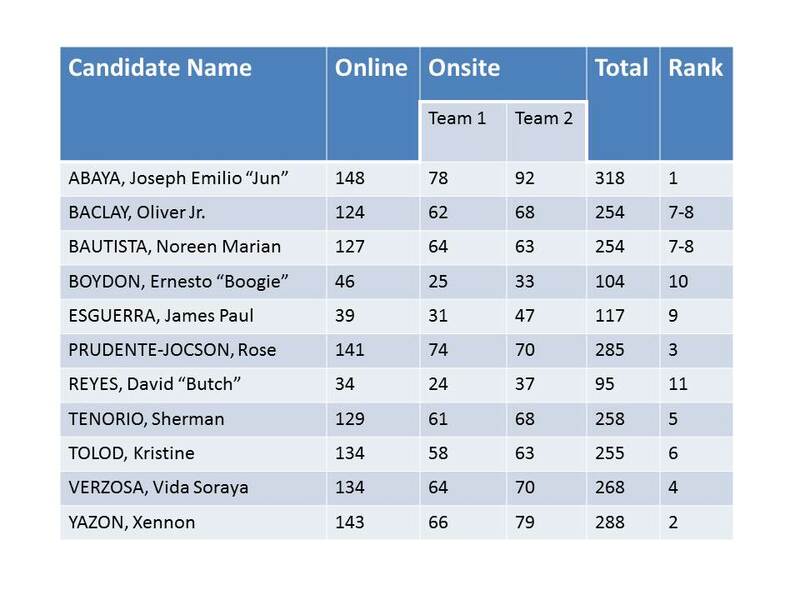 A total of 410 votes were cast - 199 online, 202 onsite, 5 via proxy, and 4 invalidated. We apologize for the delay in posting the results on the Hub. The announcement of winners made during the Homecoming on the 7th of September 2013, when the total tally of the votes cast onsite and online was completed, is based on the above results. We would like to emphasize that the whole election process - casting and canvassing of votes, was open to the public for observation. The list is complete! Click here to view the roster of candidates, their campaign posters, and Resume/ CV. Online voting will start on 4 Sept at 0000 hours, and will close on 5 Sept at 2400 hours, PH time. Onsite voting will be held during the General Alumni Homecoming on 7 Sept, at the Main Campus Multi-Purpose Gym. Voting will end at 2100 hours. Proxies are accepted during onsite voting. Hard copies of the proxy form will be available at the NAA office at the Main Campus starting 3 Sept, or you can click here to download a soft copy. Click on the names to view their CVs! *Candidates listed in order of filing. Posters are as submitted by candidates/candidates' representatives. Placeholders will be used if no posters are submitted. Last May 25th, more than a hundred sons and daughters of the PSHS System gathered at the 4F Auditorium of the Main Campus - a first-of-its-kind gathering to get the thoughts and feelings of the Alumni, and help jump-start efforts for the further betterment of our beloved Alma Mater. View the report on the proceedings. After an eventful first-half of 2013, Dr. Jondi Flavier takes stock of what the PSHS National Alumni Association has accomplished so far, and what is in store for everyone in the months leading up to our Alma Mater's Golden Year. Mrs. Yazon passed away July 6, 2013. Many of us remember her as our beloved main campus registrar - a position she occupied for 10 years. But she was also English teacher, Head of Curriculum and Instruction Services Division, and Head of Student Services Division. She owned The Color Purple way before Whoopi Goldberg won the Oscar. We are forever grateful for her love and concern for the PSHS and its scholars. She was a proud and doting mother, grandmother and great grandmother - for these she will be most missed. Registrar and Secretary of the PSHS Board of Trustees since 1970s for at least 10 years; and was also designated Head of the Curriculum and Instruction Services Division, and of the Student Services Division. 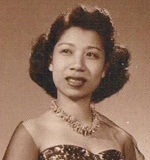 Widow of Dr. Francisco N. Yazon, M.D., former Dept. Chair of Internal Medicine, Quirino Memorial Medical Center. Notice that she married a Francisco, almost the same as her name. For her love of planting ornamental plants and fruit trees, she spent most of her free time in her farm in Baras, Rizal. She was therefore a farmer after her retirement from PSHS. Favorite color: Purple or Violet – the color of royalty, nobility and healing. The PSHS National Alumni Association, through its Nominations and Elections Committee (NOMELEC), is pleased to announce the Call For Nominations for open positions on the PSHS NAA Board of Directors. The positions have a two-year term: January 2014-December 2015. The open call for nominations for the Board of Directors commences on Wednesday, July 10 and concludes on August 31, 2013 at 2400 hrs. Once the roster of nominees is complete, the list shall be posted on the NAA website so you may get to know them better. Online voting will commence on September 4 at 0000 hrs until September 5 at 2400 hrs. On-site voting will be held on the day of the Homecoming, September 7th. All dates and times are in PH time. There are eight openings to be filled for 2014-2015. Include with your nomination(s) the name, title and contact information for the individual(s) and his/her comprehensive resume. Self-nominations are welcome. Nominations should be sent to pshsnaa.membership@gmail.com. The results of the elections shall be announced during the PSHS NAA General Assembly Meeting on September 7, 2013.